To oversee smooth implementation of the projects financed by the Millennium Challenge Corporation (MCC) and the Government of Lesotho. To ensure proper liaison between the Implementing Entities and MCC. To provide an integrated computerized financial package to the effectiveness and transparency of public resource management by computerizing the budget management and accounting system for government. This program is aimed towards automating Customs and Tax processes in order to improve the efficiency and effectiveness of revenue collection processes and technology through the provision of a single view of the taxpayer. The objective is to put in place scanners that will be used to facilitate and significantly increase the efficiency of inspections. The scanners will assist in the fight against smuggling of goods into the country. To improve border post infrastructure. Upgrade of current UniQue payroll to ResourceLink Human Resource/Payroll integrated system. All HR offices will be connected to the central database at Ministry of Finance data centre to maintain Human Resources related information. The Records Management Project was established in 2012 as an integral part of the Integrated Financial Management Information System (IFMIS), under the cluster of Public Financial Management of the Public Sector Improvement and Reform. Based on international best practice, IFMIS has a direct impact on the record keeping practices in many respects and could not continue to remain a neglected asset within Ministry of Finance. The Records Management Project under the Ministry of Finance is aimed at establishing policies and procedures related to record keeping ; designing and establishing standardized record keeping system for all the Ministry’s financial records; strengthening credibility of the Government financial management reform through proper record keeping and creating a foundation for future integration of paper-based system to the new electronic environment. The project, therefore, is developing a robust information structure coupled with capacity building for effective management of public sector records from the time of creation up to a time a decision is made to keep or destroy them in accordance with both the Financial Regulations and the Archives Act. Access to reliable and accurate information sources is critical to the Government in its quest to promote the rule of law, transparent service delivery to citizens as well as public accountability. In line with this, the Records Management Project, though being implemented in phases, and depending on the availability of resources, has accomplished some major activities such as refurbishment of the former Liquor Commission building turning it into a fully-fledged Records Centre. The Records Centre has become fully operational housing semi-current records from the Treasury (IFMIS requirement) as well as the line Ministries, and the sub-accountancies. IFMIS source documents, Privatization Unit records and Millenium Challenge Account (MCA) documents are also kept at the Records Centre and these are fully accessible to support audit trails. It remains the project short term target to provide access to reliable and accurate information sources to support micro fiscal planning. The records project, therefore, has developed a comprehensive manual system for all types of records in preparation for automation and the introduction of Electronic Records Management System (ERMS) which will make retrieval of records much easier and faster. In order for records to support the Government initiatives as a valuable asset, records must be managed from the time they are received, through distribution, use and maintenance, until they are finally destroyed or permanently archived. 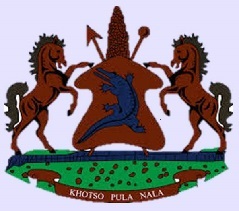 The Parliament of Lesotho allocated M50 Million to the Ministry of Finance and Development Planning in 2011/2012 to establish PCGF. PCGF was established to support SMMEs that are credit worthy but do not have adequate collateral security to obtain loans from the Commercial Banks. The government of Lesotho took this initiative to liberate SMMEs from the burdensome of the limited access to finance by the private sector. Ministry of Finance concluded the negotiations and signed the Memorandum of Understanding (MOU) with First National Bank, Standard Lesotho Bank, Lesotho PostBank and NedBank on PCGF. The Credit is provided by the participating Banks on the viable/bankable projects while PCGF provide partial collateral security. The economic importance of the SMMEs sector and its substantial contribution to employment and economic growth are evident across the world. The Applicants must submit their Eligible/Bankable projects directly to the participating commercial Banks. The participating Banks provide their unqualified approval to PCGF for guarantee certificate. PCGF may conduct its own due diligence depending on the level of risk.The turnaround time is now 1 day. The loan amount applied for will not be used for the purpose of which is not intended for. PCGF provide the guarantee on all the development and priority sectors under the National Strategic Development Plan. The Fund provides 50/50 guarantee coverage for existing business and 70/30 guarantee coverage for start-ups on the final loss. The loan amount to be guaranteed is not supposed to exceed M5 Million and there is no lower limit. PCGF does not provide grants. PCGF does not charge the Applicants any fees.